It always feels good to hear experimental music, especially of the type that emanates the synergy produced by Eastern and Western sounds. Just a week ago I got a message from John Wrinch Williams, a musician of note. He seemed very happy about the idea of Indian Rasa. After all, a blog was being launched to feature his brand of music. John Wrinch Williams, adapt at playing many instruments, is the founder of the band, the Arboreal Quartet, a labour of over two decades of musical exploration. With extensive on-stage, studio and on-air experience in genres as diverse as jazz, folk, electronic, Hindustani, and Celtic music, John now primarily plays the sarod. He has been a student and follower of sarod maestro Ustad Ali Akbar Khan. Download all 10 tracks (zip file), in CD quality, by clicking here. 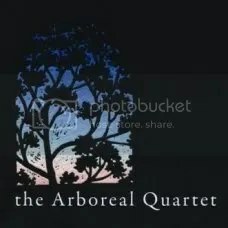 Songs courtesy: John Wrinch Williams of the Arboreal Quartet.